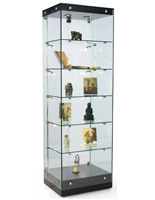 This illuminated tower display cabinet is perfect for use within a retail setting. 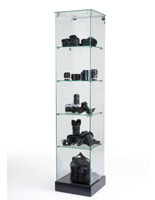 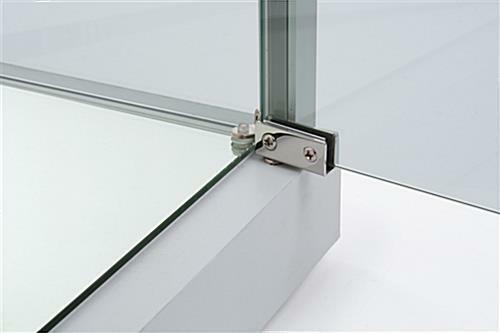 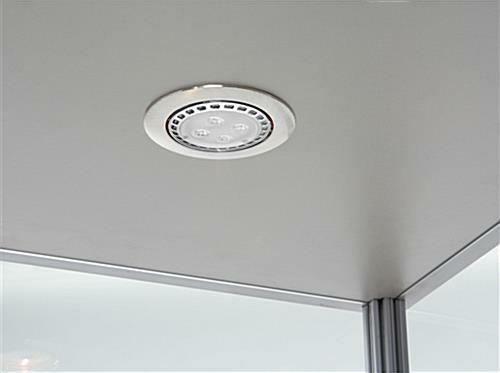 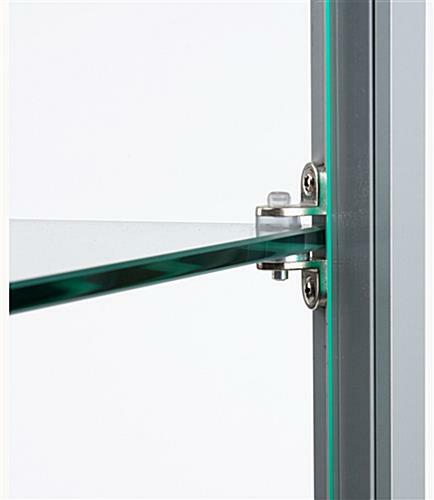 These glass showcases feature LED lighting at the top of the housing to highlight your products while saving energy. 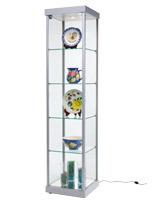 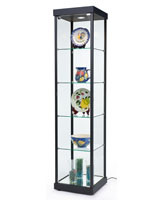 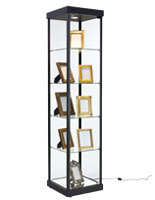 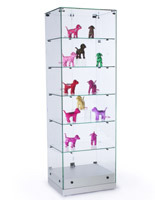 When showcasing items, the floor standing display cabinet has a mirrored floor which gives the curio an elegant appeal. 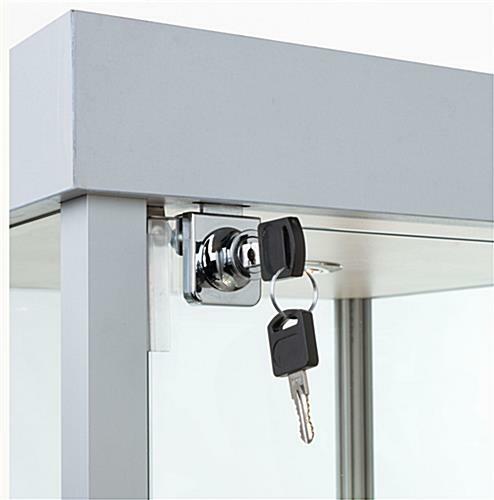 Give yourself peace of mind when placing high end merchandise in the glass showcase by securing it with the included lock and key. 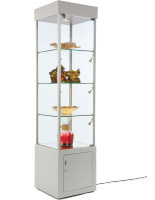 The display cabinet ships to you fully assembled which makes it easy for you to setup in an ideal floor position. 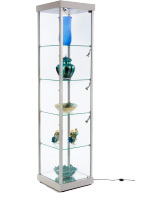 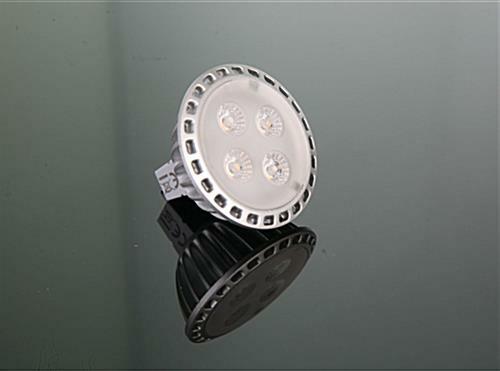 The silver curio is a welcomed alternative and the LED lighting will give you long-lasting use!